All refugees arriving in Germany have a right to medical aid. However, the facilities and services they can access are limited – at least for the first 15 months. 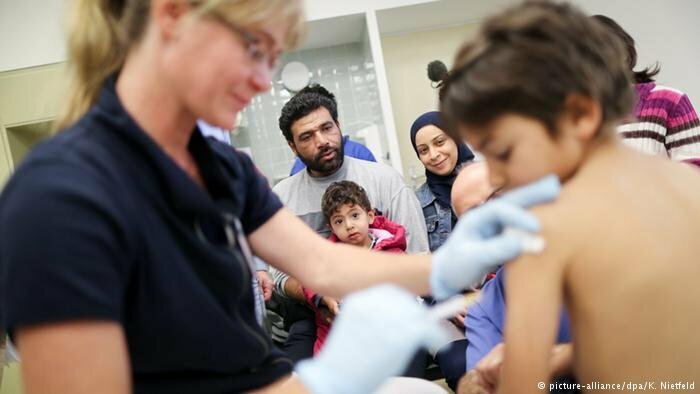 When refugees first enter Germany, doctors examine them for communicable diseases. For this purpose, experts carry out an x-ray of the lungs. For people below 15 years of age and pregnant women, doctors perform blood or skin tests. Asylum seekers can access health care if they have medical problems. In case of acute sickness or wounds and pain, doctors provide necessary care. Apart from these emergency services, doctors check cases individually to see whether medical aid is absolutely necessary to guarantee a person's health. Pregnant women and nursing mothers, for example, receive the full spectrum of services, including midwives, medicines and bandages. However, the extent of these services is decided according to laws regulating benefits for asylum seekers. In the first 15 months since their arrival in Germany, refugees get lesser benefits compared to legally insured persons. For example, dental surgery is approved only if it cannot be delayed for medical reasons. After 15 months, asylum seekers have the same right to medical care as recipients of social benefits. This means they need to pay a percentage of their income - usually, state aid - for health insurance after 15 months of their stay in Germany. This amount is around 2 percent of their basic yearly earnings, which is around 4,800 euros or a little over 400 euros a month. Chronically ill persons undergoing long-term treatment need to pay 1 percent of their yearly earnings. Who is responsible for health care? Federal states are responsible for medical aid for asylum seeker when they first enter Germany. This is valid for the entire duration of the asylum seekers' stay in the reception centers and in central refugee shelters of the state. As soon as the asylum seeker is assigned to a certain municipality, the communes are responsible. To be able to visit a doctor, refugees need a receipt of authorization, also known as "Berechtigungsschein" or "Behandlungsschein." This is a form that one can get from officials at the reception center or the responsible social services office. The office approves the medical examination and also specifies the extent of service. Usually, the receipt is valid for an entire quarter – or three months and can be used for emergency services as well. Refugees can then look for a specific doctor (who is certified for the treatment of refugees), who decides on the treatment or refers the patient to another expert. If a medicine is prescribed, the patient can get it at a pharmacy without any additional payment. Doctors can also prescribe hospital stays for a patient, but these need to be approved by local authorities first. 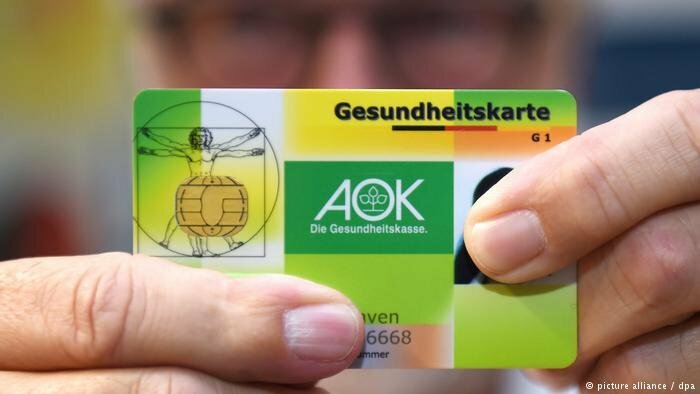 Some states in Germany, like Berlin, issue health insurance cards for refugees as soon as possible after they arrive in Germany. This enables the newcomers to access health care systems like any other legal person. However, a health insurance card can only be issued after refugees begin living in communes, which then enter into a contract with respective health insurance companies to issue a card. The company cannot be chosen by the refugees themselves.